..The mighty bear is ruled by the Taurus sign of the zodiac. Known for their slow and lumbering presence, bears can often be found taking sips of water at a rivers edge, grazing on some grass and berries, or hunting for fish. That's when they're in a good mood. But watch out when these kind souls get aroused. During times of aggression, a bear can muster up immense strength and agility; capable of moving at lightening speeds when to escape, defend, or attack. This duality between gentleness and strength visible in a bear's nature is also the same duality residing within the Taurus sign individual. Because of this soulful tie, the bear a great Taurus symbol to have when one needs to develope strength, courage, surety, or confidence. Of course, it's not necessary to run out and get yourself a live bear. ;-) But you could acquire a small replica of one. A keychain, photograph, painting, or carving will do just fine. What matters most is the connection to the vision.  Bull: A Bulls character is also very similar to that of it's fellow man. 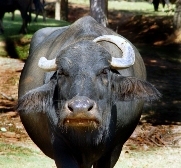 The Bull usually stands strong and silent until the moment he gets aroused. Then watch out. Whens hes mad, he can be devastatingly threatening, showing a forcefullness and resiliency that is otherwise dormant. It is these qualities that a totem of a Bull totem represents and why it is a powerful tool to have for those who need to develop steadfastness, perseverance, power, and strength to the individual that holds this precious Taurus symbol. So, if you feel that your Taurus mate needs a bit of help with the affirmations mentioned above, the Taurus symbol of the bull would be the right choice.  Cow: The domesticated, peaceful, and often shy cow is another Taurus symbol ruled by the Taurus sign of the zodiac. When resting, these wonderful animals graze on grass and lie in the fields relaxing and enjoying the harmonious environment around them. A cows true nature is sweet, slow, and serene; traits it shares with Taurus souls. So if you, or your mate, want to retain a simple and gentle outlook on life, a symbolic (or real ;-)) reminder of a cow can help you move closer to your vision.  Woodpecker: With their amazingly strong bills, Woodpeckers have the ability to bore holes in wood to feed off of insects. With their mighty claws, they have the strength to climb trees without and explore the most hidden of places. And with their persistence, they will tap away until all are fed and taken care of. This tenacity and endurance are the same two qualities that the Woodpecker inspires in others. So the presence of a Woodpecker can help not only strengthen a persons will, drive, and purpose, but also help him move toward his goals. A Woodpecker reminder is especially useful during times of erratic complexity; when life is throwing curveballs left and right. 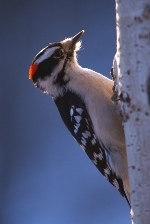 The symbolic presence of a Woodpecker can help an individual realign with his sense of rhythm and timing and help him get back to a steady daily existence. All of these benefits combined make the Woodpecker an ideal Taurus symbol and a truly meaningful gift for your Taurus soulmate. Cradle the Spirit -- Romanceit!